Paint your own Mini Sugar Skulls - All events have SOLD OUT! 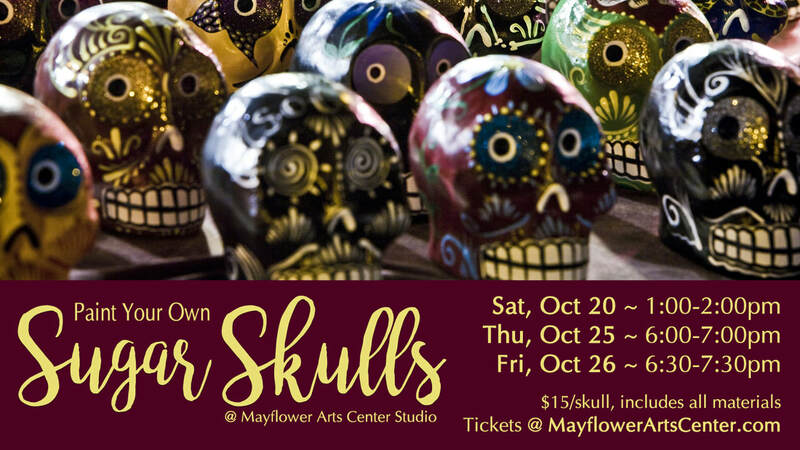 Celebrate Dia de los Muerto with us as we paint mini ceramic sugar skulls with bright, festive colors! No painting experience required. Guided instruction walks you through every step of the project, so you can paint with confidence. Participation is limited to 24 guests/event and pre-registration required. For more information, contact the Mayflower Arts Center at 937-552-5848. Don't delay...tickets go fast! Oct 20 is SOLD OUT! Oct 25 is SOLD OUT! Oct 26 is SOLD OUT!